Are you only in Vancouver for a day? 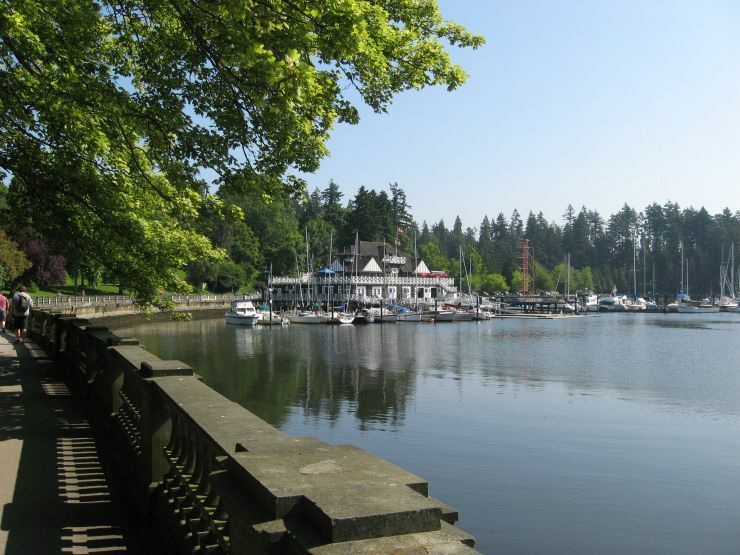 You can see many highlights of Vancouver in a day with our self-guided Vancouver one day tour. You can either follow our suggested itinerary, or use the many resources on this site to make changes reflecting your own interests. The key to seeing more of of the city in one day is to plan ahead and follow a logical path from one location to another. Even using public transit, you can accomplish a surprising amount of sightseeing in a single day. We recommend purchasing a day pass because you can ride the system all day long without stopping to purchase additional fares and it costs less. Want more ideas? Pick any single day's itinerary from our Two Day or Three Day Tour that matches your interests. You can also add an additional day to any of our suggested tours with a BC Ferries Day Trip or a Fort Langley Day Trip. Each one is a full day's outing. Start your day by taking the SkyTrain to Waterfront Station. 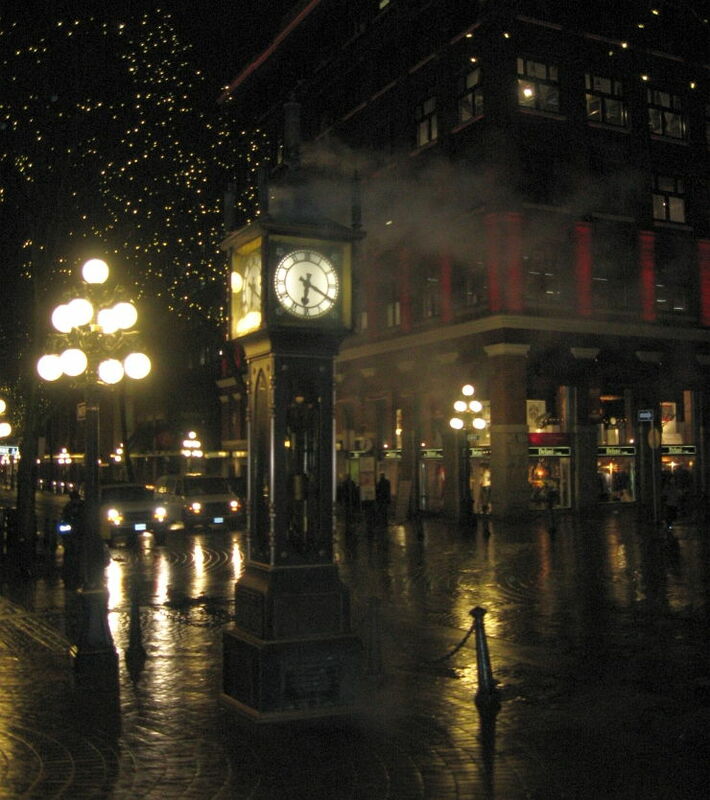 Exit the station and stroll east along the cobblestone pavement of Water Street into Gastown. Explore some of the unique shops and be sure to see the famous Steam Clock and the statue of 'Gassy Jack'; the enjoy a morning tea or coffee at one of the cafes before making your way back to Waterfront Station. Board the Seabus for the 15 minute crossing over to Lonsdale Quay Public Market in North Vancouver. 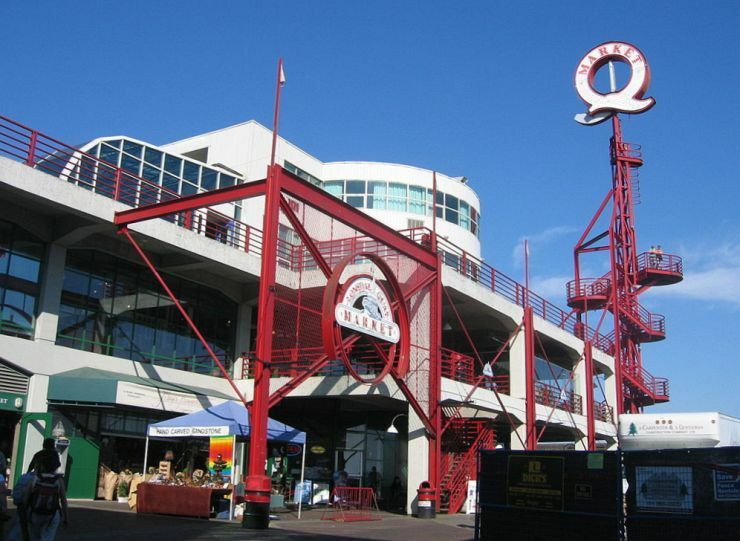 Spend some time exploring the many shops and services in the Public Market and grab quick lunch or snack before riding the seabus back to Waterfront Station. Exit Waterfront Station walk 2 blocks south to West Pender. Catch the #19 Stanley Park bus going west on Pender into Stanley Park. From the Stanley Park bus loop make your way toward Vancouver Aquarium and check out the free viewing area on the west side. Follow the path north from there to the seawall and go for a walk in either direction along the seawall for about 30 minutes then double back to the aquarium area and west back to the bus loop. Take the #19 Metrotown bus back to Pender and Burrard and walk south 1 block to Burrard Station. At Burrard Station catch an Expo Line Train heading east to Surrey King George and ride it all the way out to Scott Road Station. You will see good views over much of Metro Vancouver along the way as most of the track is elevated. 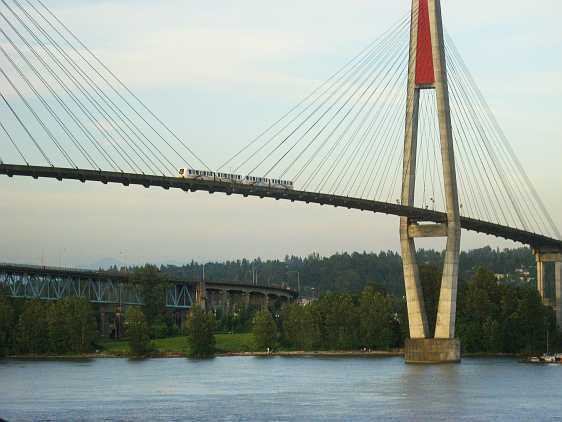 Just before Scott Road Station you will enjoy some more great views of the eastern portions of Greater Vancouver, as you cross the world's longest transit only bridge high above the Fraser River. Exit the train at Scott Road and follow the signs to make your way to the westbound platform and catch the next train going back to Columbia Station in historic New Westminster (the first capital city of BC). At Columbia Station follow the signs to change platforms for a train heading to Production/University Station. From there, catch bus #145 SFU up to the Upper Bus Loop at Burnaby Mountain Conservation Area and Simon Fraser University. Note: the #145 bus can be very busy when University is in session, however it is only about 7 minutes between buses, so if you can't get on the first bus you won't have a long wait for the next one. Explore the interesting architecture of the campus and have a lunch or dinner at one of the numerous restaurants adjacent to the bus loop. If there is still at least an hour of daylight and the weather is good, take any bus from the upper bus loop or the transportation centre (just past the 'tunnel' your bus first passed through coming to the University) to the University residences stop (first stop past the 'tunnels') and follow the trail to the west that begins behind the bus stop for a 15 minute walk to the Burnaby Mountain Conservation Area. 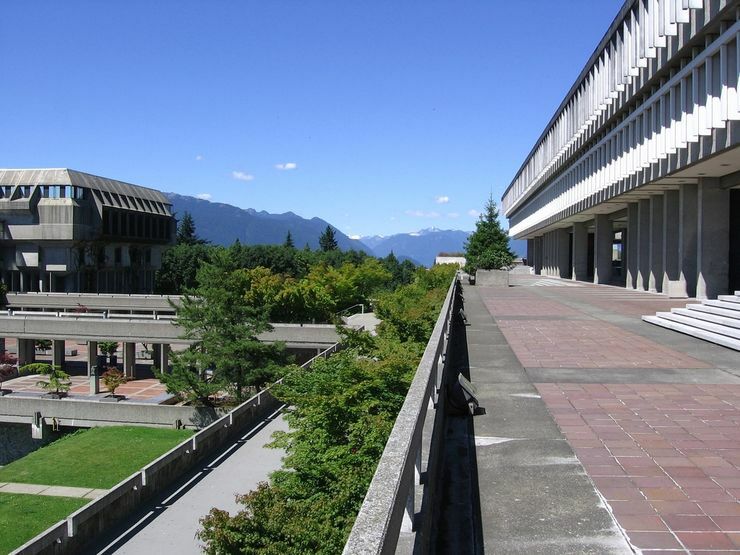 Enjoy the views of the city, mountains and Burrard Inlet along with totem poles, sculptures and the rose gardens before walking back to the University residence stop. If you are making your way back to downtown Vancouver catch bus #135 Burrard Station for the 50 minute ride back into downtown. If you are staying in North Burnaby, New Westminster or Surrey take the #145 bus back to Production Station and navigate back to your hotel, or if staying near Metrotown take bus #144 Metrotown. Total time for your Vancouver Day Tour: 9½ Hours plus hotel connections.